This relaunch of a popular title by Ring (considered by many to be the Dean of Near Death Experience Researchers) includes a new foreword by Caroline Myss. 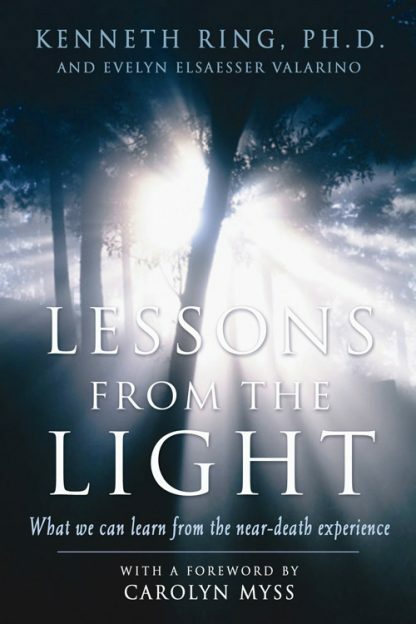 Lessons from the Light extracts the pure gold of the Near Death Experience (NDE) and with a beautiful balance of rigorous research and human insight reveals the practical wisdom held within these experiences. Evelyn Elsaesser Valarino lives in Geneva, Switzerland and has been actively involved in research into the NDE for many years. She is the author of On the Other Side of Life: Exploring the Phenomenon of the Near-Death Experience, a cross-disciplinary book on the NDE that has been published in many languages.